Tonight countless bottles of bubbly will be popped as we gather to celebrate the passing of 2010 and the start of 2011. The absolute worst thing you can do is to celebrate with an inferior bottle of bubbly. But good sparkling wine and Champagne doesn't have to break the bank. Here are four bottles that can fit your budget and will not assault your tastebuds. Remember that you can get about 5 flutes of Champagne from a bottle so plan ahead if you are entertaining or better yet, ask your guests to bring a bottle! Review Spanish Cava sparkling wine. Apples and grassy notes. Larger bubbles that fizz and pop in your mouth. Not complex. Made traditionally. Easy going. Review California sparkling wine. Fruity with apples and cream. Medium bubbles that bounce around your mouth. 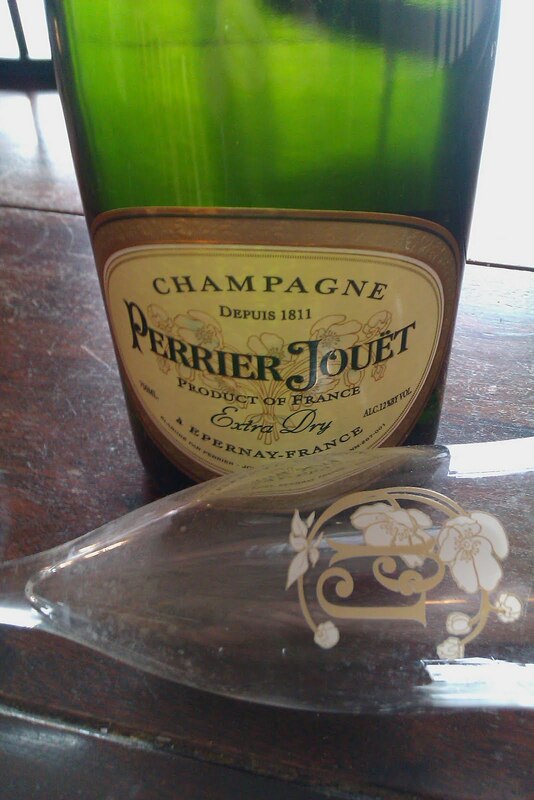 Review French Champagne.Citrussy. Playful and delightful. ReviewFrench Champagne. My absolute favorite. Intense traditional character. Dry, fresh bread and cracker notes with soft cheese and flowers. Small bubbles that dance and play. Elegant, refined, and simply the best! Are you ready for New Year's? Here we are on the brink of another New Year's celebration and of course that means bubbly! 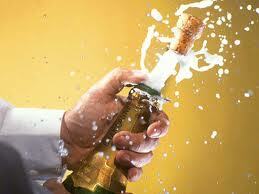 First just a point of accuracy–“Champagne” is wine that comes from Champagne, France. If it isn’t from Champagne, France, it isn’t Champagne. Now that, that’s out of the way let’s get down to some rules of thumb rather than getting too caught up in specific names of wines which may or may or may not be able to find. Remember, you like what you like. Just make sure you really like what you like. Do yourself a favor (and anyone else who will be cerebration with you, completely avoid the host of sparkiling wines that are ubiquitous at this time of year and are generally displayed on end caps or special displays so that you will buy them. If the wine costs less than $5, PLEASE don’t buy it! For just a couple dollars more you can buy myriads of sparklers that are actually well made and taste good rather than the sickeningly sweet “soda-pop” wines that are disgusting and make you sick. Andre’s, Cook’s, and others of their ilk are such brands but there are many more. For less than $10 you can find wines from Spain, Italy, and America that have some character and taste like, well, wine. Spain’s, Freixenet is popular and a solid choice and is always a decent buy. Washington State’s St. Michelle produces three types of sparklers all in the $10 range and are consistently well made. If you are given to a higher end sparkler look to a place like Schramsberg who makes sparkling wines that will rival those of French origin. From Italy are the various “Prosecco” sparklers which again, are routinely well made and won’t break the bank. 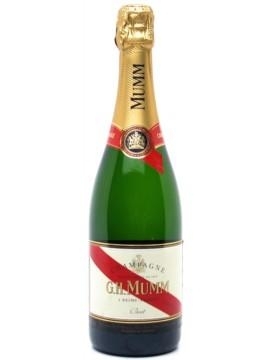 Now if you’re a purist and you have to have Champagne, my personal favorite is Mumm’s Brut Prestige. 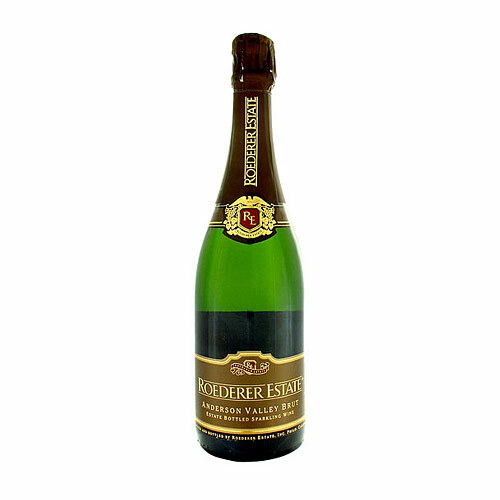 It will cost around $20 and is a high quality, yet relatively inexpensive bubbly that is affordable and pleasing. In the case of New Year’s Eve celebrations, if everyone is pretty well toasted anyway, go ahead and open that Andre’s I guess. But if you’re looking for a wine experience, pay the extra few bucks and get a real wine. Happy New Year to you all and remember to have a designated driver. You don’t want to start 2011 on a catastrophic note. This Central Coast (Calif.) beaut. is a dark purple with lush fruity, chocolate aromas and cigar box fragrance and all sorts of good things! Palate--this is a bold wine with big, tight, dark fruit, espresso, more black plum, baker's chocolate and after 24 hours is even better still loads of cherry fruit as well. I paid $15 for this wine and would love it at a considerably higher price point. This wine will grow for the next decade and should be fabulous. For the price point this is at, it is worth seeking out and raising a glass of a classic Cab. 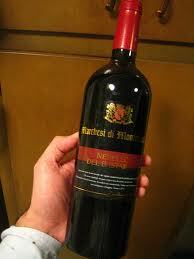 Palate: Big juicy mouth feel with mouth-watering acids and a tannin core that is very firm even after these 13 years. Finish: long and savory with basil, oregano and anise hints that taper off. Overall: I paid $30 for a 500ml bottle of this at a local wine store where I am sure they did not know what they had on hand. It is a deep brick red in the glass and shows its age. This is a very special bottle of wine that I found sitting on the shelf of a local beer shop. This just goes to show that you can find gems hidden away amidst the dross of lite beer and cheep spirits. 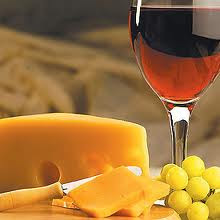 Palate: Dry with medium acids that make this a good pairing for buttery dishes and cream sauce meals. Finish:lingering tropical fruit acid notes. Overall: Thanks to Susanne Bergstrom from the Folio Fine Wine Partners group for providing the review samples. 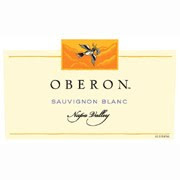 This wine can be found widely (if it is not at your local wine store ask the manager for it). It retails for anywhere from $12 - $16. Overall this is a nice example of fruity Sauvignon Blanc. The citussy acid character presents well and should be best served with a buttery complement. There are many different styles of Sauvignon Blanc wines from around the world. This Napa Valley white wine is a nice example of a tropical fruit style. 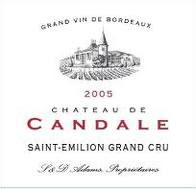 Candale is a Grand Cru St. Emilion from the famed 2005 vintage. I am pairing it with a rib roast and my initial tasting of it with on opening shows it will be a nice wine and the perfect pairing. I am allowing it to come to room temp (my cellar is set at 56 degrees and it definitely needs to breathe. I am allowing it 4 hours. Now that it has opened,there are many more layers. It is this phenomenon of "layers" or complexity that separates the more pricey wines from the lesser ones. This is an 80% blend of Merlot and 20% Cabernet Franc. Bouquet--Bouquet is sweet fruit laden aromas of black cherry, cedar, licorice, cigar box and black ripe plums, with slight menthol. Palate--bready,chewy,structured for age, loads of plummy fruit and black cherry bites on a frame of tannins which have toned down with breathing. It was marvelous with our rare rib roast and Yorkshire pudding. A treat all the way around and a fitting feast honoring the King of kings. Raise a glass to this Christmas celebration and Happy Hanukkah to the patriarchs of the Faith! Nose: rich and full of dried raspberry and cedar with tobacco notes. Finish: gentle finish with cedar notes and cherry. Overall:Thanks to the team from the Sean Minor Winery who have sent The Wine Cask Blog samples for review. You can find Sean Minor wines at your local wine shop (or ask the store manager about them). This wine will run $15-$20. If you find it for $12 or less pick up 2 bottles! This is a wonderful Christmas wine because of its accessibility and its character. 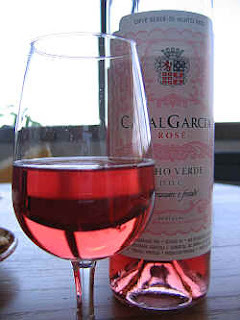 Guests will like it for the fruitiness and how easy drinking it is. The wine lover in your life will like how it combines woody character with soft tannins and full feel. 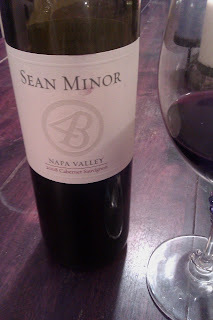 Raise a Glass to Sean Minor 2008 Napa Cab! In a recent conference call with the Sam's Club wine and cheese buyers we discussed pairings for the holidays realizing that a bunch of us will be fretting over the right cheeses with the right wines. Below is a helpful little list that can get you started in the right direction. I just returned from my local Sam's Club and their cheeses--at least the ones I checked are WAY cheaper than anything I can find anywhere else so be sure to check out yours! Cheese and wine pairing suggestions! I reviewed this wine not long ago (October of this year) and grabbed another bottle on sale. Pale gold - straw with plenty of vanilla laden citrus mix of lime,and others. Palate- Stern presence with racy acidity, citrus backbone, juicy with minerals. A Burgundian Chard that will cleanse your palate of the butteriest sauces you can throw at it. It's finish really endures for some time! A good food wine and a great value at $13 on super sale! Raise a glass of the real thing! With a red fruit profile and nice herb and spice accents, this is a pleasing Cabernet now that could also cellar for a while. Honig is a perennial good value Cab from Napa, and the 2007 is a real winner. Expect to pay around $35 or so. Raise a glass! The holidays (don't forget New Years is just around the corner) provide too many opportunities for enhancing your meals, parties, snacks, and traditions, "to blow it" on a poor wine selection. So if you have a question about what wines go with something you are serving, e-mail us (serona@gmail.com) and we will try to get back to you in a timely manner. It is even better if you have some idea of wines you have looked at instead of us shotgunning. But that said, shotgunning can be effective as we will provide you with general principles concerning your food etc. Nose: Huge aromas that waft even when the glass is on the table. Crisp granny smith apple and buttered toast with caramel underneath. Palate: good Brut dryness and solid acid core but with bubbles that fail to dance. They prickle but are lazy. Finish: Floral finish that hints at nuttiness. Overall: I paid $40 for this at a local wine store. 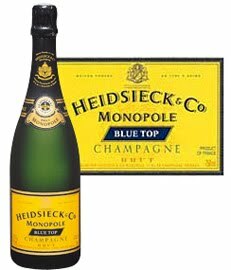 The Heidseick & Company Blue Top Monopole Brut Champagne can be found anywhere from $25 (a steal) to $45 (got money to burn?). It was paired with baklava for dessert and went very well. Shop around and find this on sale and treat you and your Christmas guests to a lovely champagne. Overall:The bubbles are the best part of this wine. The rest of it should be left in the bottle. While it is pretty to look at and the bubbles make it an inexpensive festive wine, the rest of it is unremarkable. Still, it is good to know what is good and what is not this holiday season. Special thanks to Sar Perlman of Portugal Wines for making this sample available to us at the Wine Cask Blog for review! This is an inexpensive ($9 or so) wine from Portugal - the Vinhos Verdes ("green wine") Region in the north of Portugal.Special thanks to Sar Perlman of Portugal Wines for making this sample available to us at the Wine Cask Blog for review! This is an inexpensive wine from Portugal - the Vinhos Verdes ("green wine") Region in the north of Portugal. Palate--rich and relaxed with young tannins that will turn to velvet in a couple years. Ample berry and black cherry with a touch of cola nuances and light cinnamon notes; should continue to evolve in the glass as it warms up. After an hour and a warm up this is a superior Cab and at the price of $12 (it runs around $18 most places)it is a super value wine that is delicious and a fine example of how good Cabernet can be. Raise a glass or three of this VERY nice wine! (NW) served this up to me and made me look like a rank amateur in wine tasting. It has a red hue with a bouquet of berries, dill cinnamon and candied berries. Palate--somehwat lighter in body with cherries, a break out of subtle licorice rear palate,mature tannins and some milky fudge. With more time is has a raisiny quality to it leading me to think it might be a ripasso. This wine is known as the best Syrah in Italy and will run you a hefty $50-$70. This was quite an experience and an education so raise a glass! This German QBA wine (QBA is an abbreviation for three German words that designate he quality level or "title" of the wine--see explanation on reading a German label in a previous entry. This was a magnum bottle with a light straw hue and a slight off aroma with a little spice. Minerals up front on a somewhat flacid foundation with pears and slight peach notes on a steely finish. this is not a great example of riesling and would be better passed on. This Italian wine is a young purple ont he pour with nice sweet cherry pipe tobacco scents with black Twizzlers and resin notes. 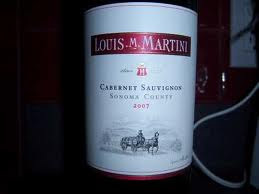 Palate--Flavorful palate with gentle tannins, tasty with a minerally mid-palate and plenty of red fruit on the finish. This is really quite a nice wine and a solid value so raise a glass! Here's an interesting blend of Cabernet Franc, Merlot, and Cabernet Sauvignon from Paso Robles. As a 2002, it's really drinking nicely with rich fruit and plush layers. Interesting, with a lot of air it also developed herbal characteristics. I paid $17 on closeout, which was a considerable deal considering this wine typically goes for over $30. I'd put it with red meat or a rich pasta dish. And raise a glass! Palate:small spritzig with a dry palate, rich acids and mineral textures that burst then quickly fade. Overall:Special thanks to Sar Perlman of Portugal Wines for making this sample available to us at the Wine Cask Blog for review! This is an inexpensive wine from Portugal - the Vinhos Verdes ("green wine") Region in the north of Portugal. This is a good event wine with the dry palate and almost but not quite bubbles and the mineral textures. It is not buttery or cloying like some other whites you might get served as a guest at a party. This wine was delightful before dinner with light snacks. I had heard that 2009 was a fantastic year in Beaujolais, and this is my first bottle from that vintage. This Morgon, which is the village designation, is a beautiful wine. Morgon wines are always my favorite Beaujolais Cru, and this is one of the best I've ever tasted. It has a nice fragrance and is juicy and youthful. I'm actually going to put a few bottles away for short term cellaring. If you need to be reintroduced to Beaujolais after a bad experience in the past, grab a 2009. This one cost me $14. Just make sure you don't accidently grab a 2009 Nouveau. Nouveau is meant to be consumed immediately and the 2010 is already out. By the way, this is another great food wine like the Crozes-Hermitage below. What I mean by that is a wine with good acidity and broad flavors that accompanies a variety of food really well. Happy Holidays and raise a glass! Here's a classic Syrah from the classic and original Syrah-growing region of France in the Northern Rhone. Unlike the big, explosive Syrah from the new world regions like California and Australia, this is a refined and medium-bodied wine. It has expressive fruit and a nice spice to it. This is a wine that will prove to be versatile with food, which is a nice characteristic during the holiday season when we seem to always be eating. For $20 or so, you can serve up an original Syrah. Raise a glass! Need some gift ideas for that enophile in your life? I hope this helps. Any wine that has been thoughtfully obtained; if you don't have the expertise to do the selecting, find a reputable wine store--probably not a supermarket--and ask for the wine expert! Even with my vast years of experience and study a wine store can be overwhelming; don't hesitate to ask for help and be specific meaning--don't be shy about your price range, likes, dislikes, hopes etc. I have rarely been steered wrong by a knowledgeable staff making recommendations and YES--even I ask for help at times! No one can possibly know all there is to know about the bazillions of wine "out there" today. Special wines like Ports—“Ruby,” “Tawny,” and “Late Bottled Vintage” ports are all quite inexpensive. Don’t confuse a “Late Bottled Vintage” port with a Vintage Port. You will know immediately by the price! A L.B.V. port will usually cost less than $20. A vintage port will start at twice that and you’ll be hard pressed to find any for under $50 and that will be for a very young one. With an aged, vintage port, you are usually talking in the $80 and above range. Champagne—also another reliable treat for most normal people. I am not normal and a good bottle of champagne would be wasted on me. But for well under $50, you can buy some very nice sparklers. There are loads of wine clubs available now online, provided your state allows shipment of wines into your area. The retailer would be able to tell you if your state is open. Glasses are always welcome; namely because there are so many different shapes geared to a particular style of wine and because they break. But please--not just any old wine glasses; but "nice" glasses and that doesn’t have to mean expensive. I like Riedel (pronounced to rhyme with “needle”) and their “Vinum” series are lovely crystal and will run you around $22 for one glass. (See I’m not talking about a whole set here, just a special glass or glasses just for “him” or “her”) The Bordeaux glass with it’s large 21 oz. bowl is great for tasting and evaluating red wine. But then they make a special shape and sized glass just for Chardonnay; Zinfandel; Burgundy, you get the idea. Spieglau (pronounced to rhyme with, uh, never mind) is also another name which makes a nice quality, but inexpensive glass. And for the really economical accident prone wine lover--Crate N Barrel sells their own wine glass which cannot be beat for the price to value ratio--about $10 each! Williams-Sonoma carries Riedel and Crate N Barrel also carries Spieglau or at least used to. Vacuum seal stoppers—These actually work and again will cost you less than $20! They help keep opened wine a bit longer. Some work better than others but I paid $7 for mine at T.J. Maax and they are now a 3 years old and still working well. That includes a pump and two stoppers. Spray preservatives—The Wine Enthusiast has an aerosol spray that you shoot into an opened bottle of wine which displaces the air with an inert gas thus preserving the wine. I use this primarily for my opened bottles of port which you tend to drink in small quantities. Stemware Care--Various sizes and shapes of stem ware brushes and odor free soaps are available at wine suppliers on line. I love mine! 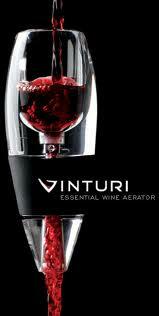 Wine aerator--This is my new favorite gizmo! Vinturi is the name of a wine aerator that you pour the wine through into your glass and it speeds up the breathing process. AND it actually works! For $30, it is a great gift! Label Lifters—for removing wine labels from bottles; some work better than others and I have found the ones from labeloff.com to be the best. Around $9! Wine identification--The very best wine gift I have received to date is an aroma kit which my lover, girlfriend, and wife of 36 years made for me. A wooden box, some glass vials (obtainable on line from any medical supply house) and you put your scents in each vial for continued reference. You can buy a small, ready made kit though from the Wine Enthusiast but they are a bit pricey ($60 and above) I believe. Cork screws like my glasses, just can’t really have too many of them; especially a unique one, (*note—unique doesn’t mean stupid; like a Santa handle) or a particularly functional one. The best are called waiter’s cork screws and have a hinged lip on it. These are purely functional and are less than $10. But a very special cork screw, like one from Laguiole can run you in to the hundreds of dollars. If you have money to burn… I'd rather have a $10 cork screw and spend the rest on a decent bottle of wine!!! Bottle tags--If your devotee has several bottles at any given time laying down in a make shift or bonafide cellar--these are little tags that hang around the neck of the bottles identifying the wine so you don't have to pick up the bottle thus disturbing it's contents. They are reusable if you use a wet wipe marker and are very inexpensive. Wine cooler—these come in drastically variable price ranges. I have a Sunbeam generic 35 bottle cooler which cost me less than $200. The same size from one of the premier makers like Haier will cost you more than twice that but of course you get a better quality unit. Chillers—For my birthday this year I received a crystal, monogrammed chiller which is essentially just a big glass jar—a pretty one—which fits a bottle of wine submerged in ice water for that quick cool down. The prices vary widely depending on composition. Wine totes are also very practical and handy. I'm not talking about the bag kind of tote but one that looks more like a small piece of luggage. It can carry one or two bottles of wine, has an insulating material on the inside and keeps your wine temperature moderated while in transit. These are also fairly inexpensive at $25 or less. Neoprene totes are also handy and are great for packing your treasured wine purchase in your suitcase when you have been traveling abroad. Books are a nice idea if the person is a book kind of person. I like the huge wine volumes with the magnificent pictures from around the world. 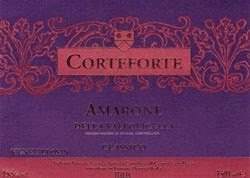 I received Wine by Andre Domine (Barnes and Noble) several years ago and it is magnificent for the very beginner to the very studied. A handy reference book is also a nice idea; Andrea Immer and Food and Wine Magazine each have a quick reference book that costs around $10. Jefferson on Wine for the history buff and oenophile in your life (check review in our blog) and George Taber is a reliable author putting out two books in the past couple years--To Cork or Not too Cork which is about the screw cap controversy, and his latest "In Search of Bacchus." Also a really good read is the Billionaire's Vinegar by A. Wallace. This is the intriguing account and controversy surrounding the sale of the famous--or infamous--Thomas Jefferson bottles of Lafite purchased by billionaire William Koch and others, from seller Hardy Rodenstock. Mags. If we’re talking about a real wine enthusiast the Wine Spectator ($49/year) and the Wine Enthusiast ($29) are essential! If your wine lover enjoys cooking as well, I like Food and Wine magazine. The Wine Spectator also has an online membership which is really handy for your smart-phone when you are out shopping. What not to get—any kind of clothing with a silly wine motif, really, please! Unless perhaps its an apron--the one "possible" exception. Have fun and raise a glass! Nice dark garnet hue with really nice red fruit in the bouquet with maybe a raspberry touch and the faintest of licorice way down in the glass. ***Palate--Surprisingly relaxed for such a young wine; Texture is a bit thin, fruit is definitely there but again thin and short but an overall balanced, fruity wine that has a finish to it. ***After an hour or so,this wine turned amazingly better even than it was on opening. This is definitely a great value! Now here is the get a grip factor--This is a $5 Italian D.O.C. wine from Trader Joe's and frankly for the price, this is a stock up wine for your pizza, pasta or cracker and cheese party so at this price--raise a glass! Light gold with remarkable spicy peachy, peary, slight mandarin orange nose that is wowing! Palate--Again--wowing at the ridiculous Trader Joes pricing of $4 with sold Gewurz flavors.. It is off dry and contains all the flavors you smell. Put a chill on it,and enjoy simple quaffing pleasure at an economy price! Raise a glass! This Napa Valley cab is a classic example of the grape. Nice Cabernet nose with rich plum and dark berry with some cedar and dark cocoa. Palate--Baker's chocolate, nice cedar notes with rich dark fruit and unsweetened cocoa. The finish is cedary and black fruit. (NW) and I shared this before a dinner recently and we both agreed this is classic Cabernet Sauvignon. This one is particularly well made and is much better than the $15 price tag we find it for. I picked up another bottle of it the next day so raise a glass!